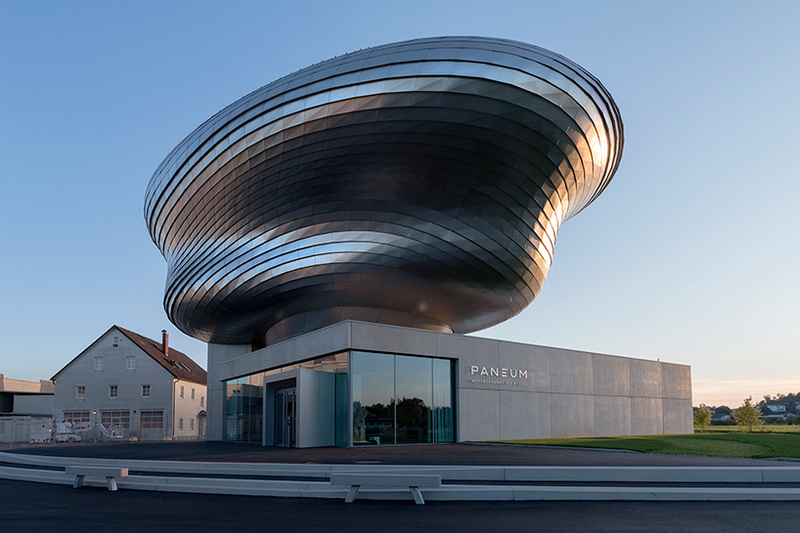 coop himmelb(l)au is a cooperative architectural design firm primarily located in vienna, austria, and which also maintains offices in los angeles and london. 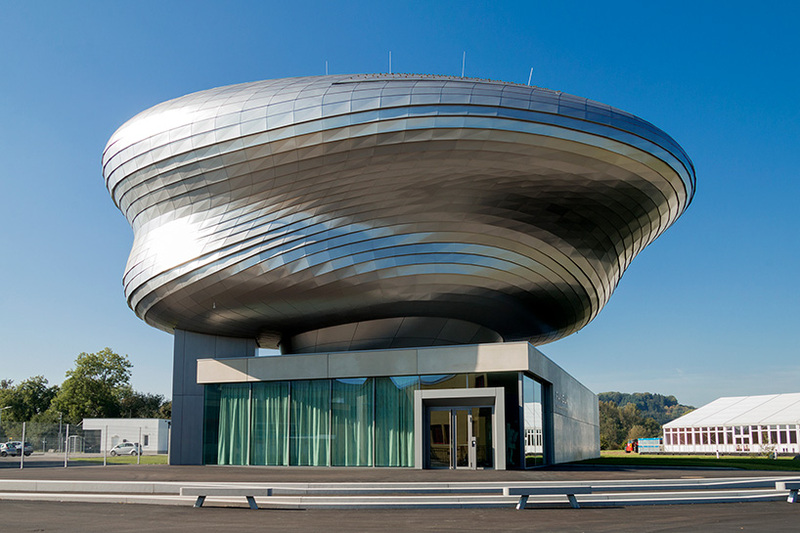 in northern austria, coop himmelb(l)au has completed a new facility for a company that specializes in the production of bread. 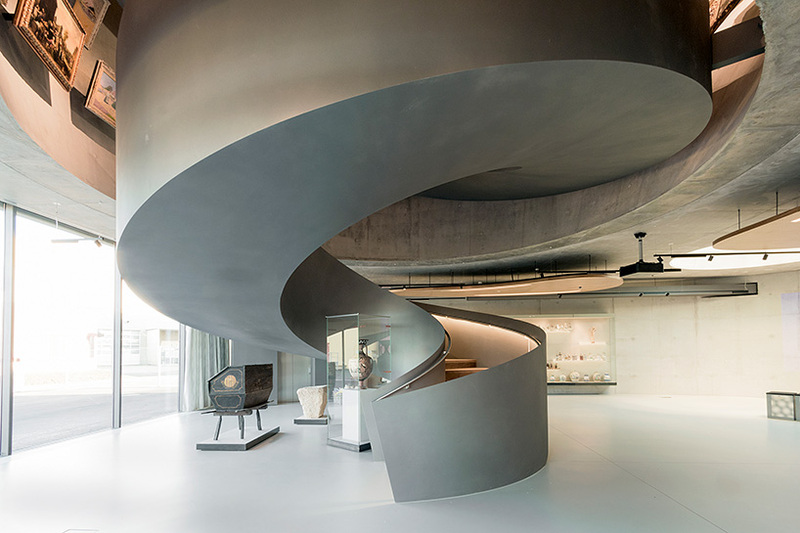 the building comprises two main components: a box-shaped plinth that can be used for a variety of events, presentations, or workshops for up to 120 visitors; and the ‘wunderkammer des brotes’ — a two-storey free form exhibition area that floats above. 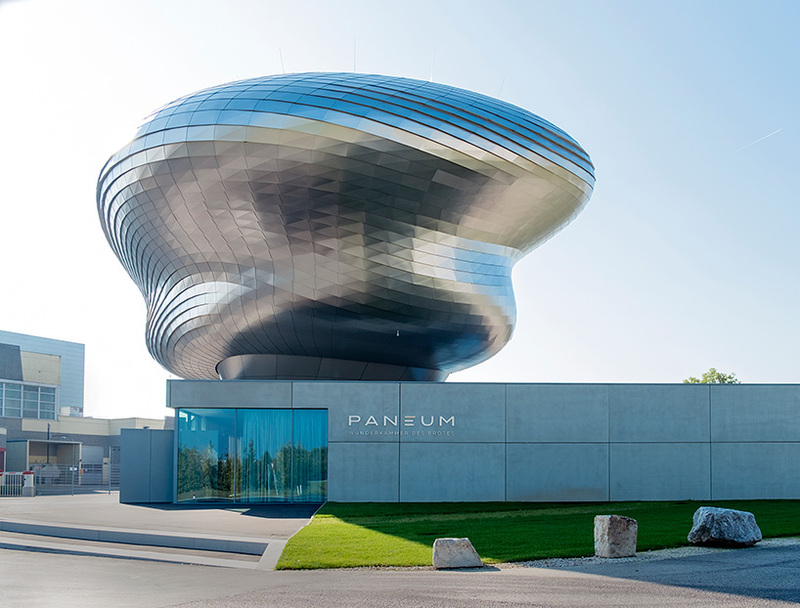 the two elements have been realized in contrasting materials, with cast-in-place concrete used for the base, and stainless steel shingles used to clad the rounded wooden structure of the museum. 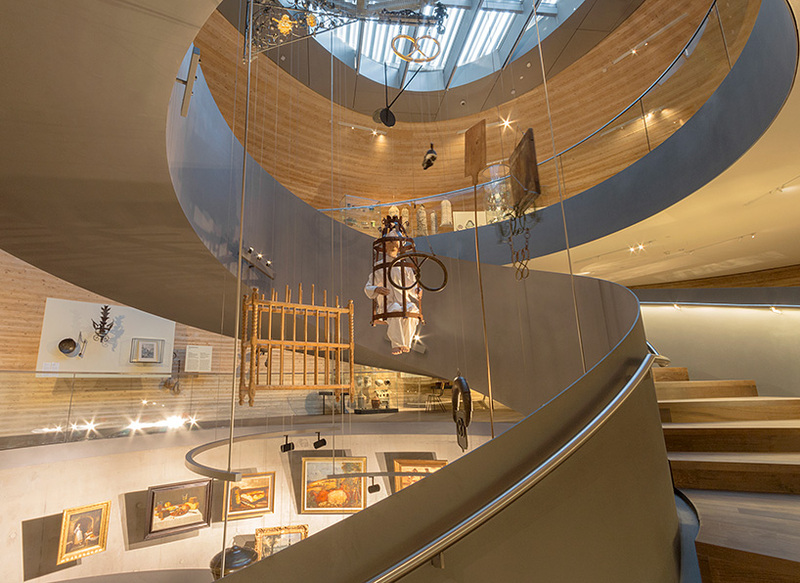 the ‘wunderkammer des brotes’ is articulated around a circular atrium, with items from the collection individually suspended from above. 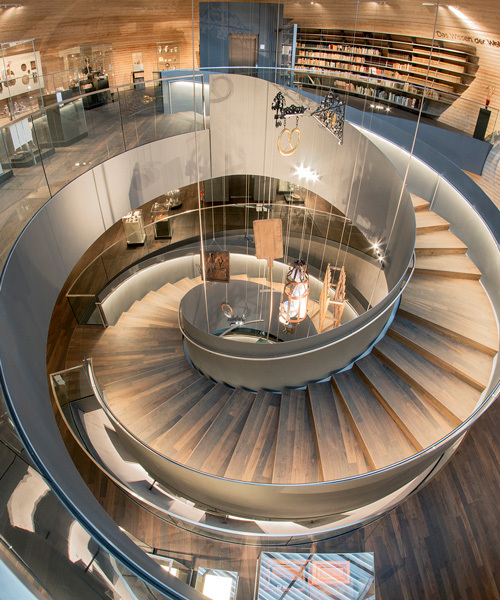 a spiral staircase encircles the atrium, allowing visitors to view the exhibited items from a variety of perspectives. 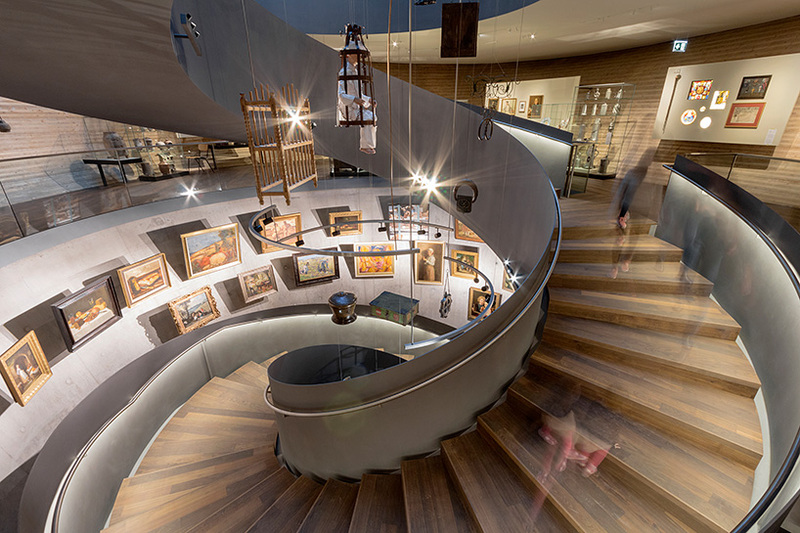 the two exhibition levels contain a range of objects, which are presented with on walls, tables, and cabinets integrated into the building’s architecture. the atrium is naturally illuminated via a skylight, while the surrounding exhibition spaces are illuminated with artificial light. 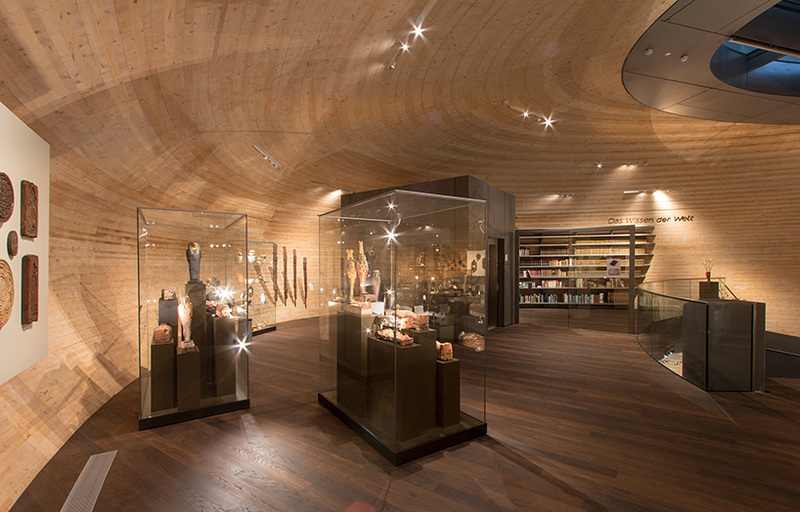 the museum seeks to bring the history of bread to life through the exhibition of 1,200 objects from 9,000 years. 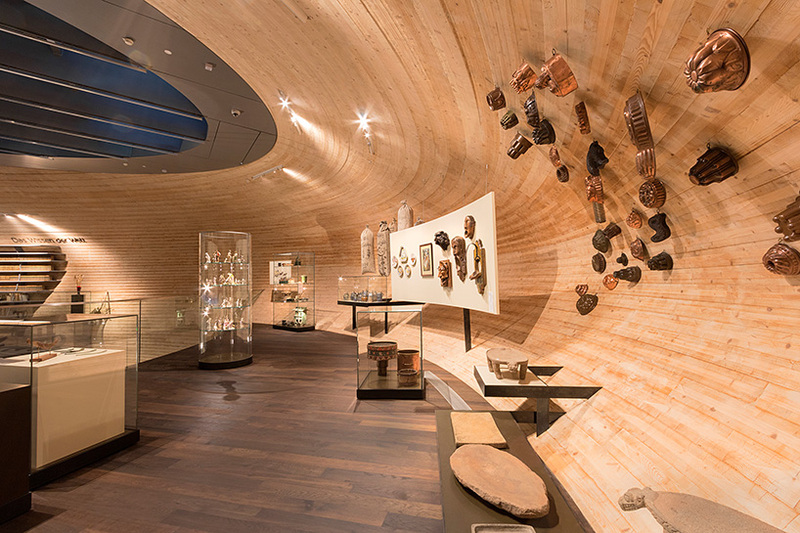 the exhibition structure’s self-supporting wood shell is composed of layered circles of cross laminated timber, which remain visible internally. meanwhile, to ensure a short construction period, the design team utilized 3D CNC technology to prefabricate parts of building. see designboom’s previous coverage of the project here.